TraceParts CAD model library relies on the new 3DPartFinder™ shape-based search engine to significantly improve the search of its CAD platform’s components. Montreal, Canada, May 30, 2016 – 3DSemantix, the software editor of 3DPartFinder™ the revolutionary shape-based search engine, has integrated its solution to the CAD platform TraceParts a leading global provider of 3D digital content for engineering. With 3DPartFinder™, professional designers can find in seconds alternate designs from various suppliers simply by selecting a 3D model of an existing part of the CAD platform TraceParts. 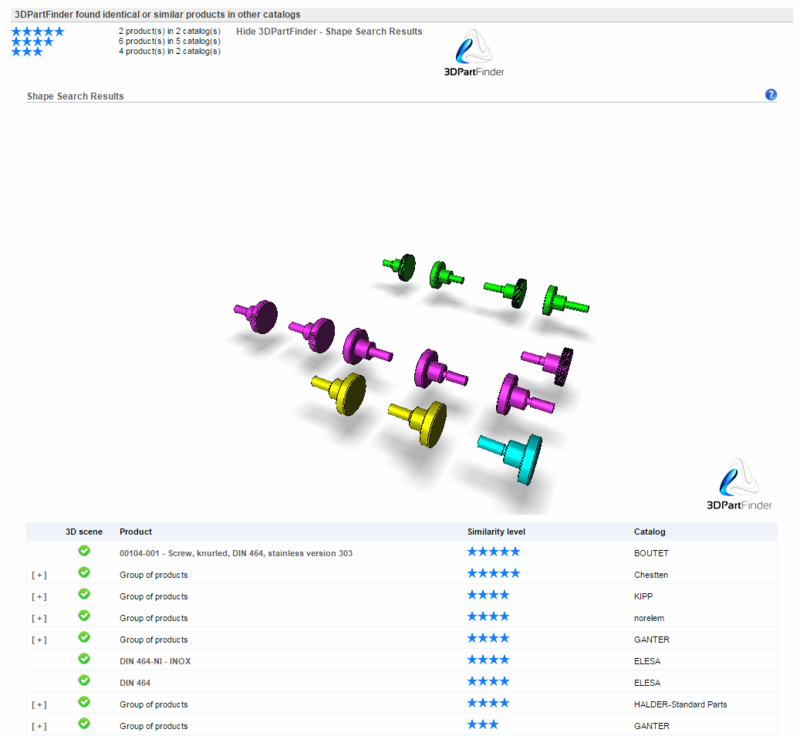 Furthermore, users can view 3DPartFinder™ search results in the 3D viewer where the parts are ordered according to their similarity in shape and size relative to the reference part. Once a user selects a component, 3DPartFinder™ compares it with the millions of other 3D components on TraceParts platform. A CAD designer is systematically provided with the most similar components thus being able to choose from a larger array of alternatives. “3DPartFinder™ allows TraceParts to tackle one of the major challenges associated with 3D search and offers CAD designers, registered on the TraceParts platform, the ability to find technical similarities that cannot be found by conventional text-based search ” added Bertrand Cressent Global Product Manager of TracePartsOnline.net. Registered users on the TraceParts platform can discover this new capability available, for now, on some 3D products. Companies wishing to implement 3DPartFinder in their enterprise to increase their parts reuse rate and related information can contact 3DSemantix at [email protected]. 3DSemantix markets innovative software solutions for the manufacturing and engineering markets. Its solutions are developed around the most advanced shape-based search technology in the industry: 3DPartFinder™. The 3DPartFinder ™ solutions help companies to accelerate product development and improve business productivity. TraceParts is a leading global provider of digital 3D Engineering Content, offering scalable business software solutions for over 20 years through powerful web products and services such as CAD parts libraries, electronic catalogs and configurators of products. It helps components manufacturers to improve the efficiency of their marketing by increasing the value of their existing digital product data.